God’s Word has much to say to women about our importance and worth. 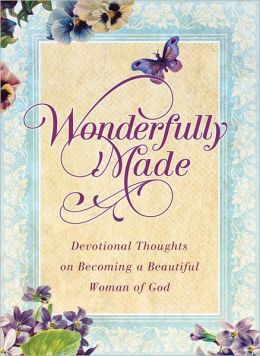 Wonderfully Made offers biblical encouragement about true beauty, confidence, and happiness. Authors Michelle Medlock Adams, Ramona Richards, and Katherine A. Douglas share devotions especially for women ages 25 to 45, who often struggle with the unrealistic physical demands of today’s culture. With its theme verse of Psalm 139:14 (“I praise you because I am fearfully and wonderfully made”), this devotional unveils God’s secrets of true beauty, confidence, and happiness for every woman—and the grace that transforms everything around it.